Buying a car is not only a financial decision, but an opportunity to lead a different life. The tough thing about buying a car is that, for many people, their vehicle is a major part of their identity. I’d like to stand here all high-and-mighty declaring I’m above all that, but the truth is … I am not. We live in a world where a high financial status is respected and what type of car you own says something about you. 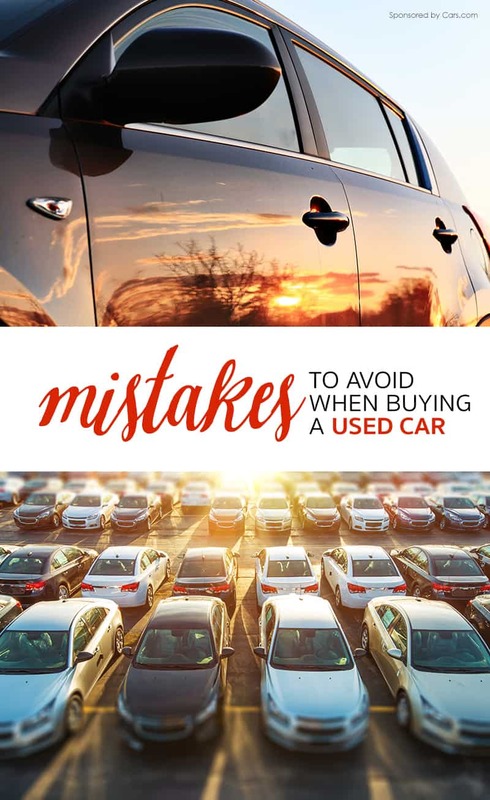 Despite my drive to live as a modern minimalist, I find myself being pulled to spend more, want more, “need” more during our car buying process. Here are a couple of considerations that helped keep our family in-check when making this financial decision. 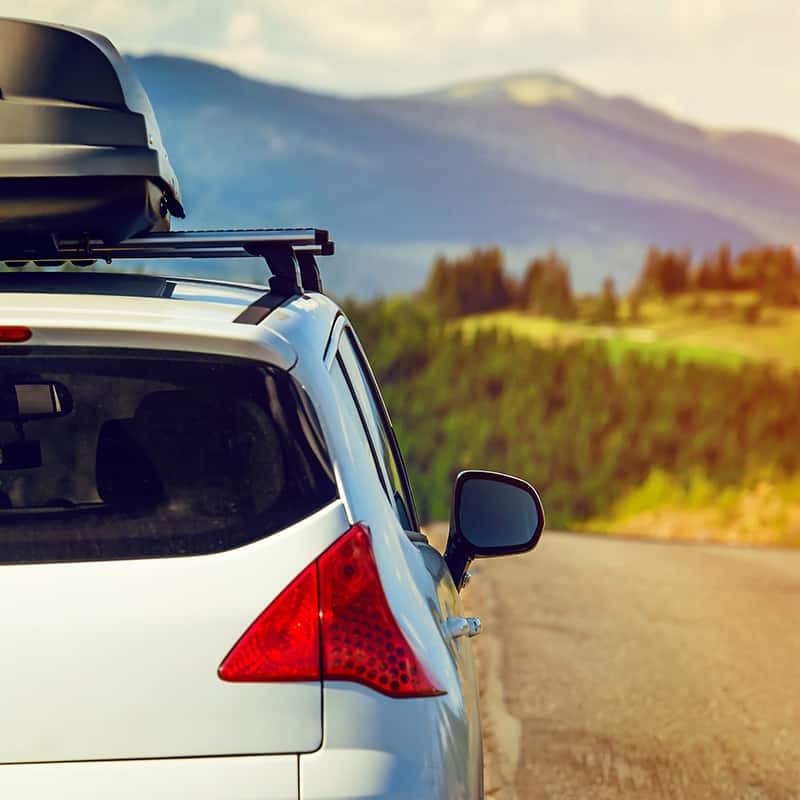 Whether you’re planning on spending $3,000 or $30,000 on a new (or new to you) vehicle, it is a perfect time to pause and reflect. In a book I am reading, Tim Ferris mentions something called “dreamlines.” Dreamlines are timelines that lead to fulfilling your dreams. Take a moment to consider your family’s dreamlines before discussing a budget for purchasing a new car. After watching this video, our family’s new dream is to save up to by an R-pod camper and travel for a full months next summer. We’re already taking baby-steps to put this into motion and find ways to ensure this happens. It is by no means an easy goal, but it is crazy enough to fight for… We decided we needed to be cautious of how much we spent on a vehicle, if we wanted to plan such a grand adventure. Thinking forward about your family’s needs and dreamlines. Do you think you’ll be carpooling with the neighborhood children across town for practice in the future? Do you have intentions of traveling and need storage space? 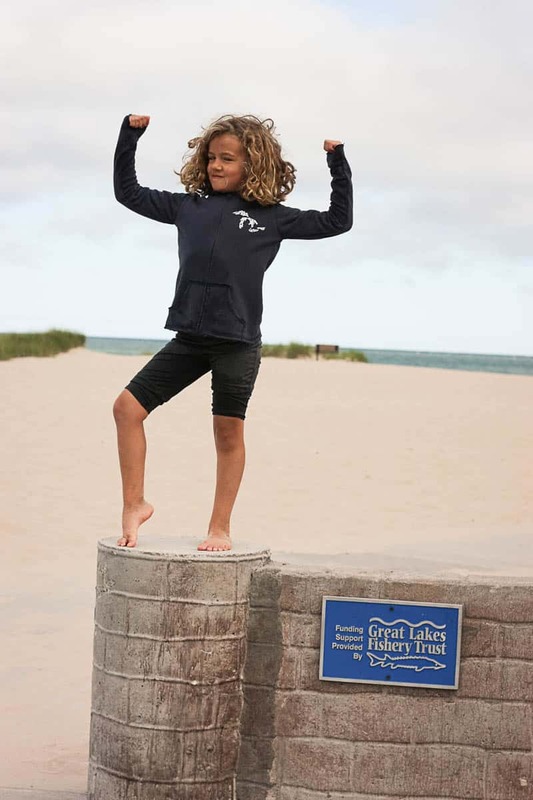 Would a rack on top for bikes, skis or kayaks help your family be more active? Are there any particular safety features that are must-haves for you? Create a list of must-haves before you start shopping. We quickly learned during our research that mini-vans and SUVs were in a much different price bracket than something one might classify as a hatch back, wagon or crossover. Break away from social norms and think about what your family needs. I really struggled with wanting a minivan. I justified the extra cost in my head. “I work hard, I deserve a nice vehicle.” When push came to shove, it was hard to dispute the fact that used vehicles categorized as a minivan (or SUV) cost more because they are the in-demand trend. Many of their features can be found in alternative vehicles, with lower price tags. In the end, the dream of our family camping adventure out west outweighed my need to have a mini-van. When we started our search we had an idea of the amount we wanted to spend. It seemed like there was always a great option right above our price point. I’d check out the monthly payments and that is a very slippery slope, my friend. My husband would bring me back to the real cost of upgrading beyond our original price point. Of course, there is the financial aspect … as in, if the monthly payment is low, you’re simply stretching out an expensive loan and actually paying more in interest. There are also lifestyle costs too; these are the real costs in my mind. Having a more expensive car would mean less coffee dates with friends, less impromptu dinners with the family on the town, less ice-cream smiles … less leeway with our daily lives. Every day we make choices that define us. Over the course of the last 5-years, with a modest income, our family paid off $82,000 in credit card debt. Instead of buying a single family home, we’ve decided to purchase multiple investment properties that help us pursue family travel adventures. We’ve chosen to opt-out of Disney. Instead we purchased a revenue-generating family cabin near the Apostle Islands National Park, which we also use for our family vacations. Our lives are the collection of the small choices we make. Make them with intention. Every single day we all have a chance to decide our next step. We get to ask ourselves if we’re going to roll with the status quo or make choices that truly make us (and our family) happy. The question is, are you brave enough to embrace the opportunity? 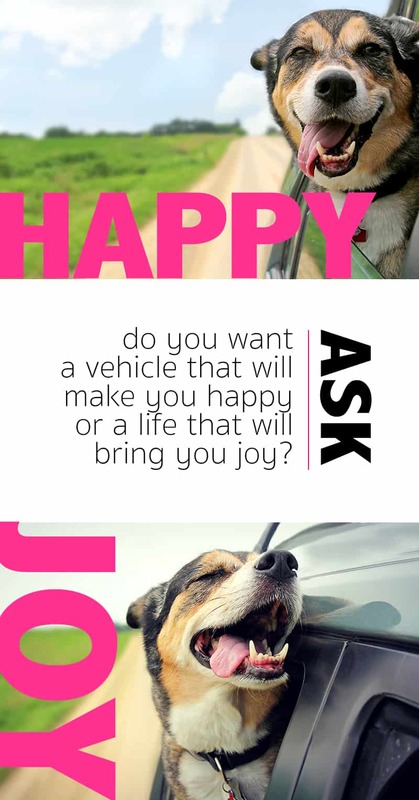 Do you want a vehicle that will make you happy or a life that will bring you joy? Keep this silly dog in mind when doing your research and shopping. One of the best parts of this experience was bringing our daughters (now 9 and 11) into the discussion. Our research over on Cars.com brought us to deciding between two used-cars: an SUV at $13,000 and a wagon at $7,500. Both were around the same year and had similar mileage. We test drove both vehicles as a family. Let’s just say, the girls preferred the SUV. When we finalized our decision to buy the wagon, it opened the door to discussing all the five points above with our children. Their contemplation astounded me. I strongly encourage you to speak to your children (if age appropriate) about the financial choices you’re making. If you have any questions about the info above, please don’t hesitate to ask in the comments. Financial freedom is a topic I feel very strongly about and I am happy to share more about our family’s experiences with reaching that goal. Good car is our couple’s dream. we’er making a plan. This artiacal is useful. Thank you. Those information is very useful for those who’s gonna buy a new car ( like me). 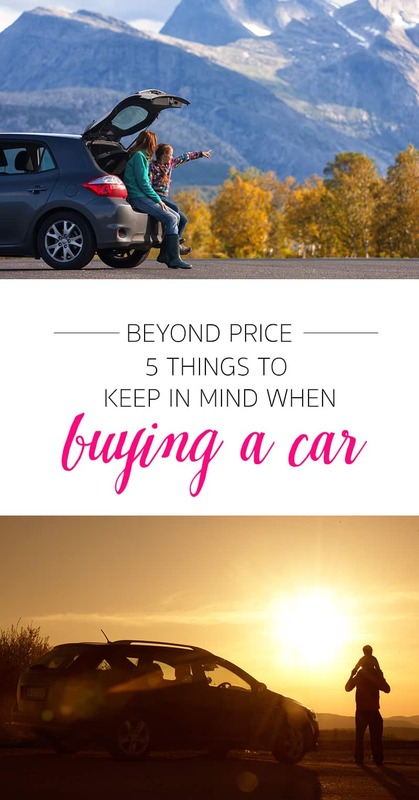 I’ll carefully remember those tips when I buy a car. Thanks for your great and helpful tips. Keep on updating, pls. The cost and the brand of car are two things I have to consider first before buying a car, thanks for share, Zina! When I buy a new car for long-terms use, I often consider on brands rather than price. Quality is always my first priority for my car. Anyway, your post is very informative. thanks so much for it! These are useful tips, what I was wondering. Thanks for your post. Thank you for such useful tips. When it comes to car for family the first thing I think of is about Car size including interior and boot space. For most new parents this is the main reason we are on the lookout for a new car. We’ve realized that we just can’t fit prams, grocery shopping, sports gear and luggage in the zippier cars we used to get around in BC (before children). We should research the interior and boot size of different car brands and models on their websites. The VW Jetta is a perfect example of a mid-size car with a deceivingly large boot. Perfect for mums who perhaps aren’t comfortable driving larger cars.